Chair Love (love, love love!) at Fleur Cottage. 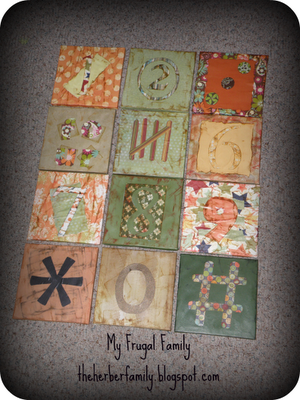 My Frugal Family made some amazing copycat art--you have to go to her blog and check out the original price! A headband for a headboard? 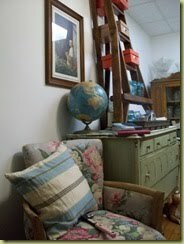 Check out Thrifty and Chic! 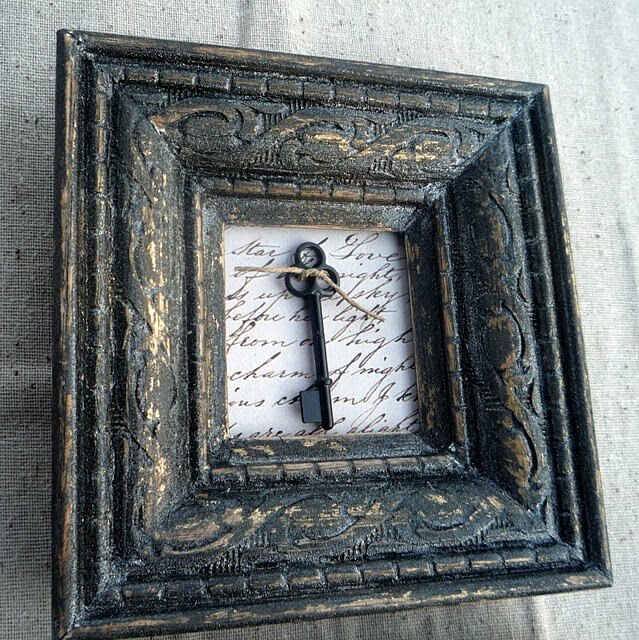 And Alice at Yesteryear's Jewels made this memo board from something surprising--go look and see! Okay--so get linking :)! Please remember to link to the specific post! 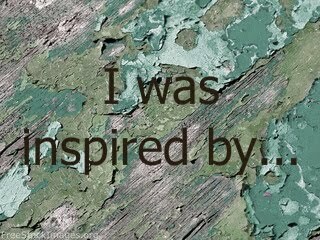 This week I was inspired by the creative maven (she uses lowercase letters for her title, so I did too). Molly is new to blogging, just started in January. She has posted some really great and doable tutorials and ideas. 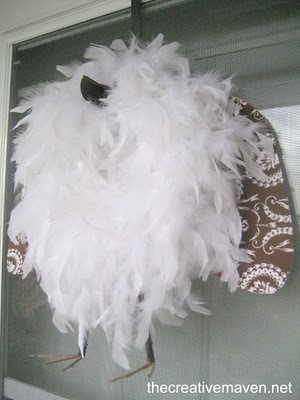 This spring chicken wreath cracked me up--look at those legs sticking out there. 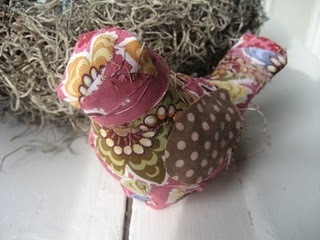 and these little scrap birdies look sewn, but aren't. 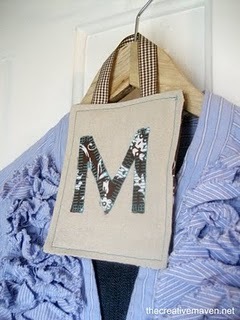 For the clothing or morning challenged, Molly sewed up outfit or hanger tags. 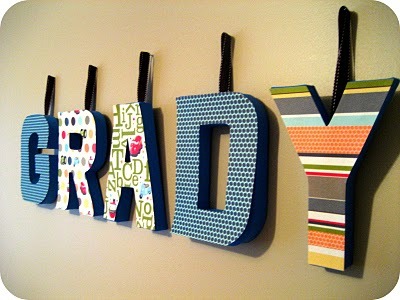 And her son's name done up with scrapbook paper turned out too cute! 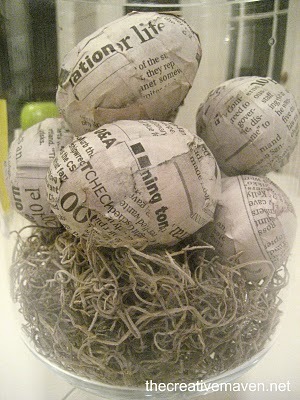 This week these newspaper covered plastic eggs inspired me to create some of my own. I liked that they were different--a bit down to earth and organic. I dry brushed a little paint on there and speckled them a bit. So go check the creative maven out--thanks Molly for the inspiration! 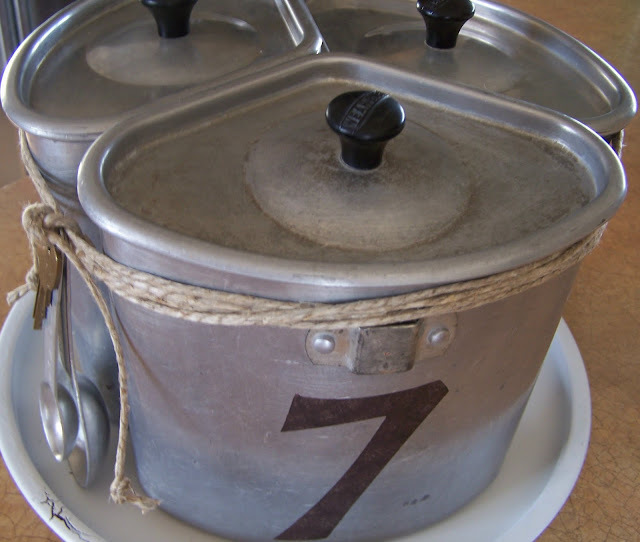 I loved this trio of vintage triangular shaped canisters when I spotted them at the thrift store. An hour after scrubbing the packing tape off of them, I stenciled the numbers 2, 4, and 7 on them. 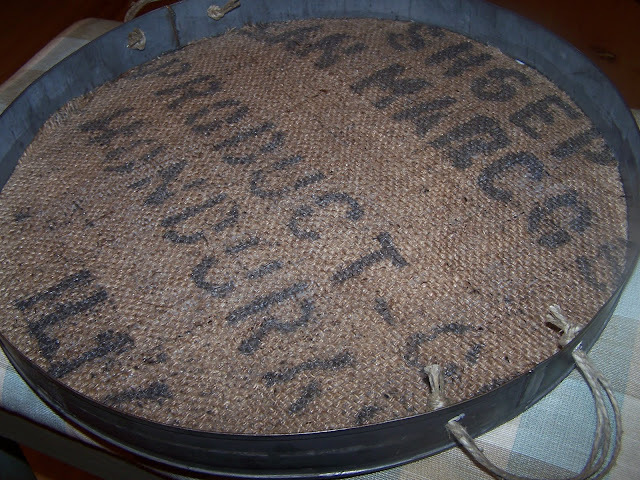 Tied them together with some jute, added a few teaspoons and a key, and set them on a little, round, metal tray painted white. What should I put in them? Thank you for your kind words and messages about Celiacs Disease. Researching and cooking has been a full time job. Gluten is in everything--toothpaste, envelopes, ketchup, spices, and on and on. The internet has been my best friend, looking up every item before I put it in whatever I am cooking. I have cried (in the middle of the grocery store was especially wonderful). I feel like I have lost part of my identity. You see, I am a baker. I pride myself on making things from scratch--homemade bread, cinnamon rolls, cookies, pasta, waffles...I am the mom who has the cookies for the neighborhood kids, who brings the desserts to functions. I have worked on perfecting my family's favorites for over 2o years. But, I am approaching this new challenge with a positive attitude. I will find new favorites while helping my family be as healthy as we can. 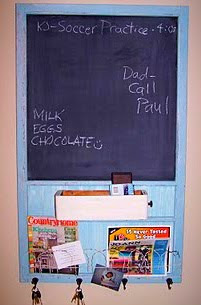 I added a piece of MDF behind it for a chalkboard, a piece of beadboard painted blue, some wire garden fencing to hold papers and pictures, a sewing machine drawer, and hooks for keys, leashes, etc. Sorry pic. is a little fuzzy. Wow, what wonderful links last week. Honestly ladies, I think bloggers should run the country, we get some stuff done! But, I digress. 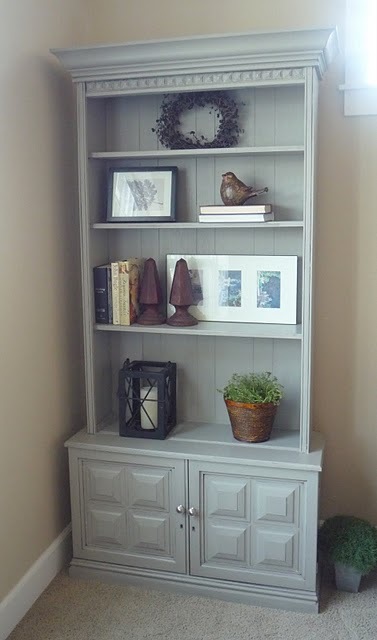 Thought I'd show off some great furniture makeovers from last week! 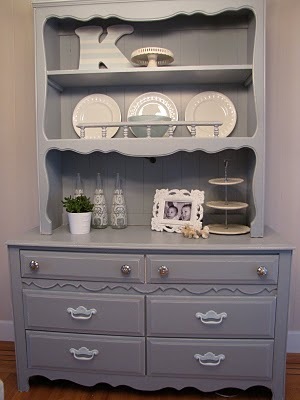 Love the color on this dresser at Made By Stephie. Who wouldn't want to sit and chat for hours at this gorgeous gossip bench from Every Little Thing. 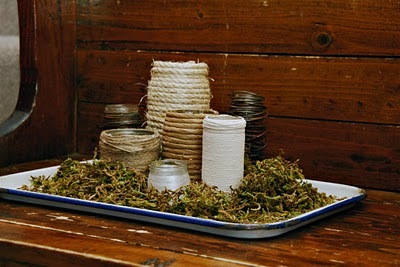 Okay, this isn't furniture, but I am ga-ga over all of the texture in this candle display by Those Northern Skies. On another note--just have been through a health scare with hubby. He has been diagnosed with celiac disease, which is much preferred to the cancer word they kept throwing around. Thank you God for that! Still, I am freaking out a little as I am the one who will have to completely change our family's diet and the way I cook (got the diagnosis 5 minutes after leaving Costco with a grocery cart full of gluten containing food). If anyone out there has any advice or words of wisdom, please email me at beckyatbeyondthepicketfence@gmail.com. Can't wait to see what all of you creative souls come up with this week! This week I was inspired by Crafty Sisters. These girls have been turning out some fantastic things lately. 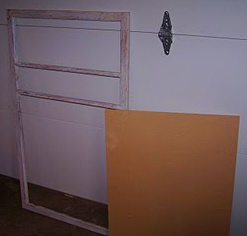 Loved their very thorough tutorial on making mini frames. And look at this once former gun cabinet. 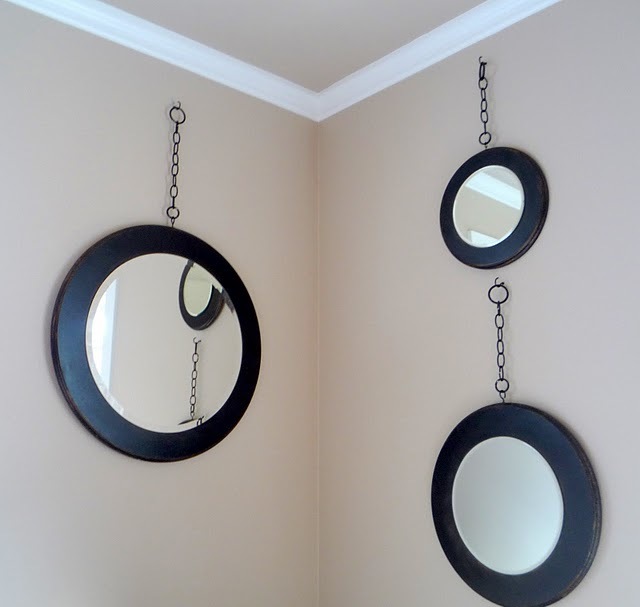 How much do you love these Ballard inspired mirrors? 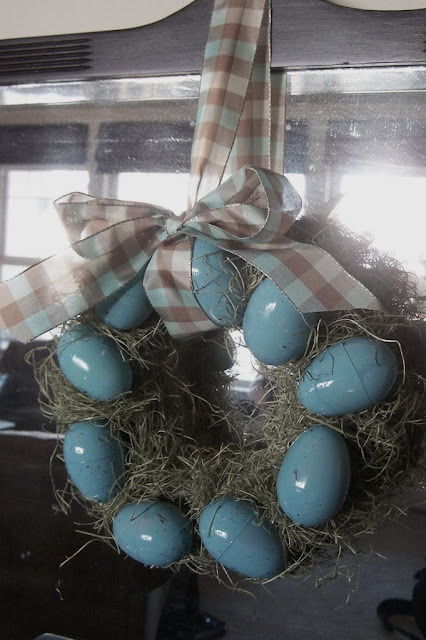 This week I was inspired to make my own version of their 3, yes three egg wreaths they shared. 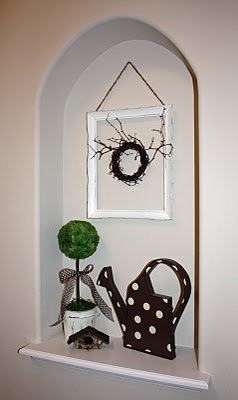 And mine--a little wreath, just perfect for this dresser. 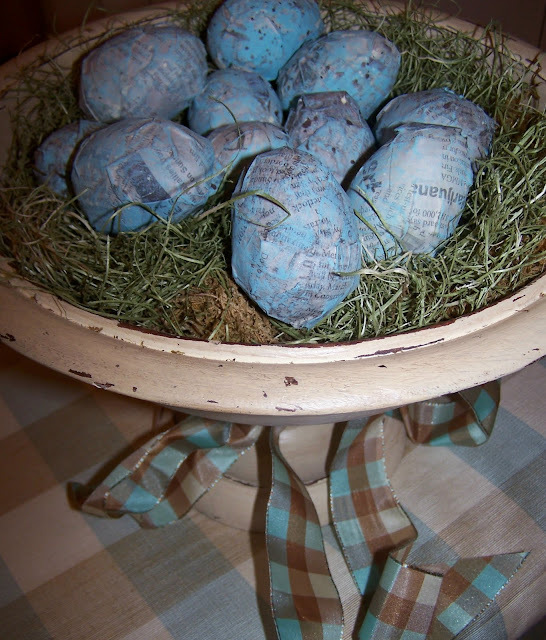 Except I don't like the egg seams you see, might have to play with this a little more, but you get the idea :). 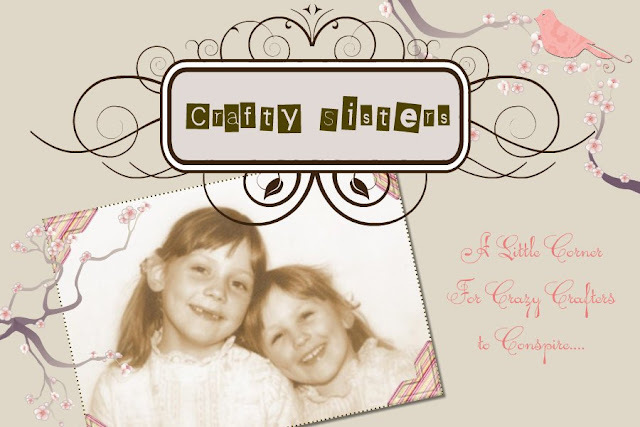 So please, go check the Crafty Sisters out and thanks for the inspiration girls! 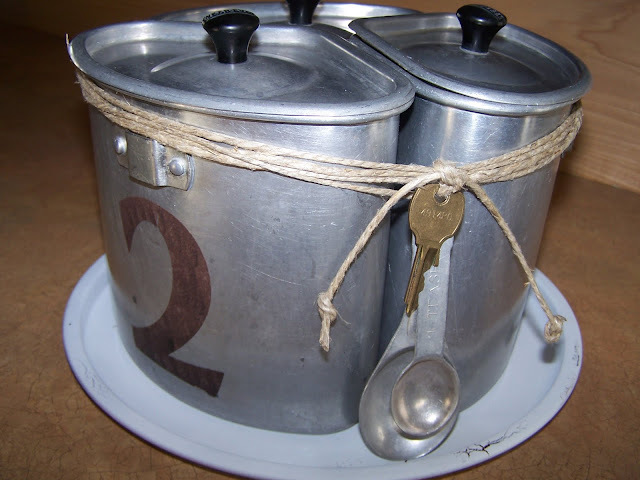 Here is a fun idea (and BTW, I wonder what number I am on for 100 ideas under $100? I will count later in the week--too lazy right now!) for a hanging lamp. 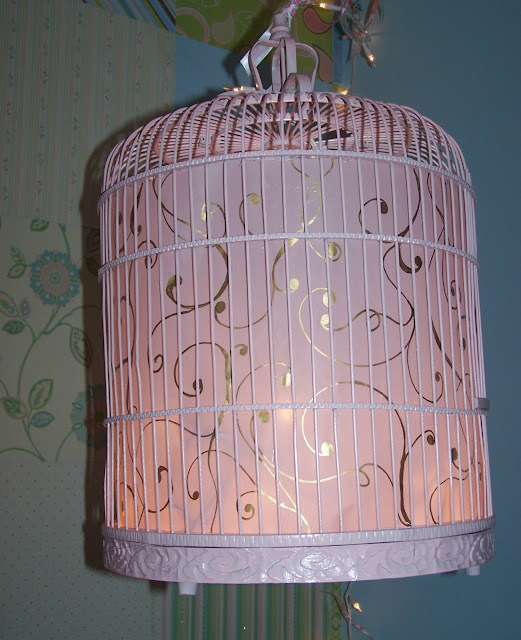 I spray painted a birdcage ($3 at thrift store) pink. I added some pink vellum inside. My daughter then said, "That is kind of plain." I removed pink vellum (it is hot glued on the inside), used a gold paint pen to add some swirls, and re-glued it to the inside. 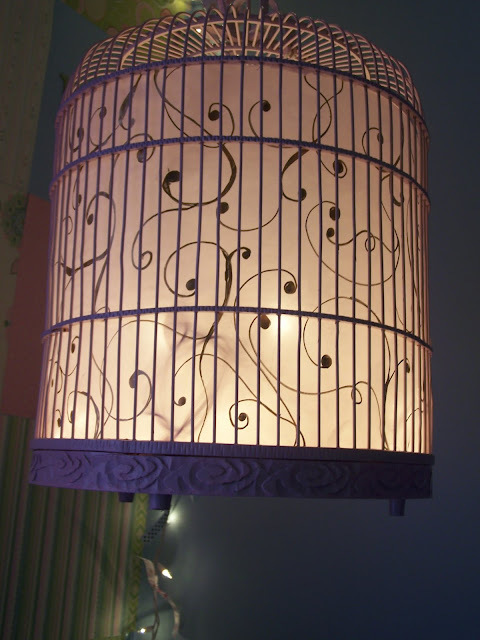 Oh, I ironed the vellum before putting it in the bird cage. 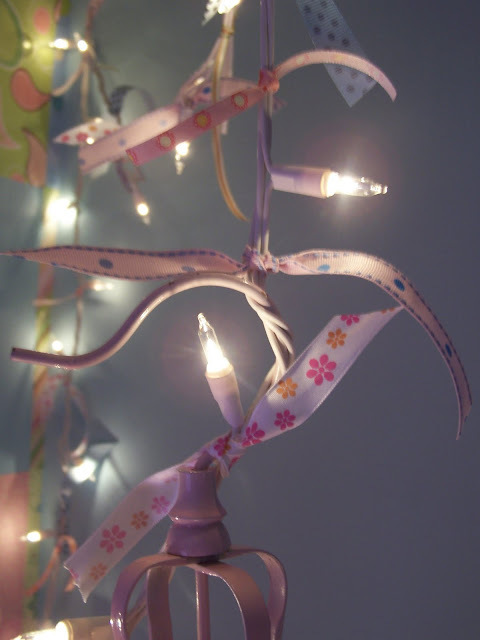 I added a white 100 count string of lights in the inside. I had to break a bit of the bamboo cage for the plug to fit out the top. 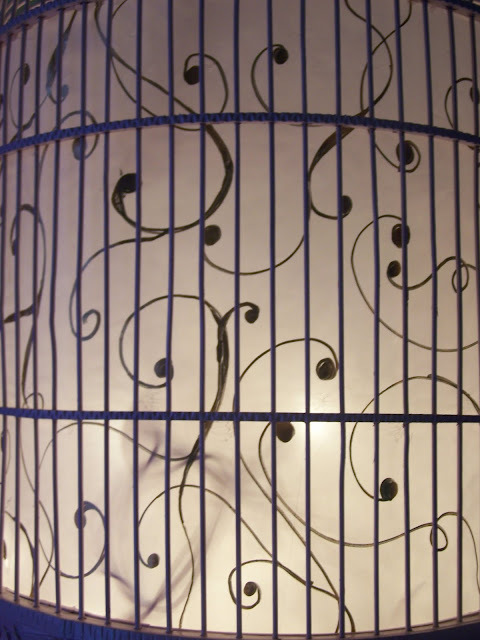 If you use a metal cage, saw a few bars off (great, now I sound like we are preparing for a jailbreak!). I then plugged another 100 count string of lights into the ones in the cage for the cord. I tied ribbons on it to pretty it up. 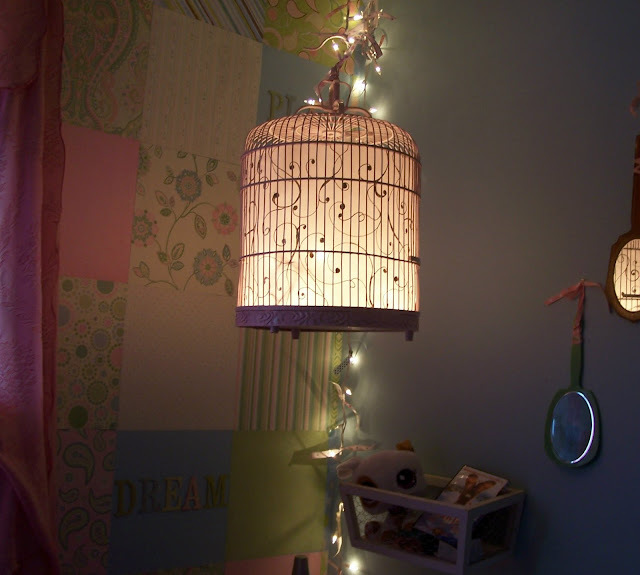 Tied one of the ribbons to a ceiling hook and ta-da, I great little hanging lamp for next to nothing. 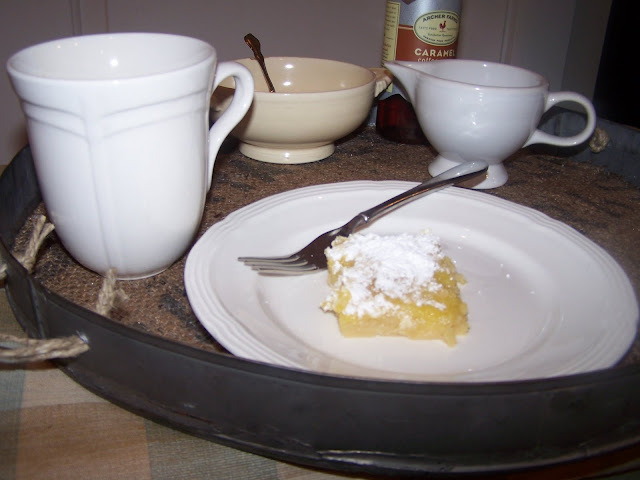 I would love to have you join me for a cup of coffee or tea and a lemon bar--all ready for you on this fun tray. This is the lid to the film canister I used in the little table I showed previously. Don't have a film canister lid? Use a cake pan. 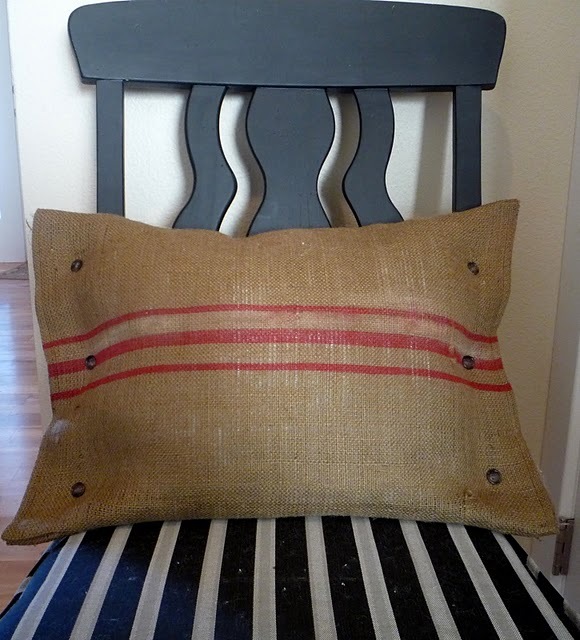 I decoupaged a burlap coffee sack on the bottom and added some jute handles. 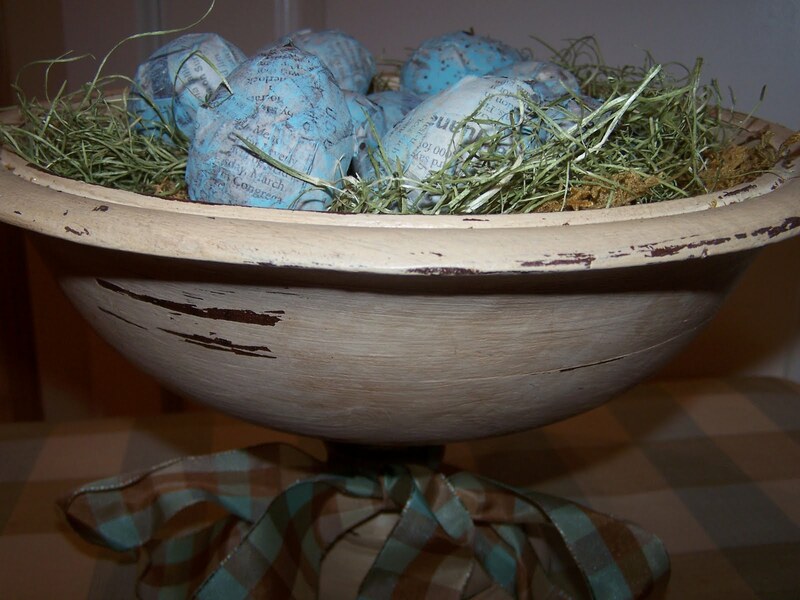 Quick and easy--my kind of project! If you didn't get a chance, please hop one post down to the guest post by Becca and give her some comment love on her fabulous anthro knock-off necklace. Also, don't forget to hop two posts down and visit and comment on the great links from this week's under $100 party! Thanks--have a fun day! Under $100 Linky Party--Show Me What You Got!